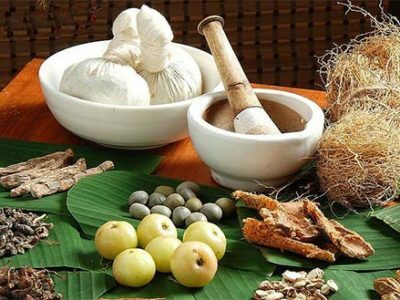 Ayurveda originated in India more than five thousand years ago and is the oldest continually practiced healthcare tradition in the world. Its written source is found in the ancients texts of the Vedas, transcribed by great sages and seers who produced India’s original systems of Astrology, Yoga and Meditation. Simply put, Ayurveda concerns itself with the maintenance, quality and longevity of life. The Science of Life. Fundamental principle of Ayurveda is the our body consists of five elements: air, fire, water, earth and ether, all these element constantly being consumed by our nature and our body. Ayurveda believes the well-being depends on the quality, quantity, and pattern of these elements. An analysis of this pattern can give accurate insight into the metabolism of the person and facilitate sooner recovery from ailments. The extended agenda of Ayurveda is to prevent the onset of imbalance altogether. Note: All the Treatments are finally decided only after a detailed consultation with our Ayurvedic doctors. You can create a retreat programme based on your specific needs and requirements. We are here to help you enjoy your tailored made retreat combined with yoga, meditation, detox, Ayurveda treatments, naturopathy, trekking to Mount Arunachala, spiritual pilgrimage, karma yoga and sightseeing (local/ north India), along with food and accommodations.